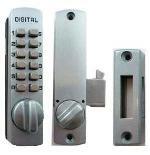 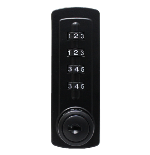 Lockey C150 Keyless Mechanical Digital Cabinet or Sliding Door Lock Is A Surface Mount Lock. 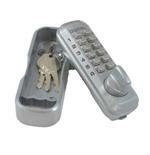 Can Be Used On Cabinets As Well As Sliding Doors. 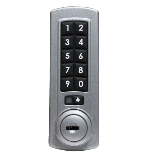 Lockey GM270 Gemini Mechanical Keypad Cabinet Lock Features Up To 10,000 Unique Combinations. 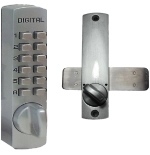 Can Be Flush Fit Or Surface Mounted. 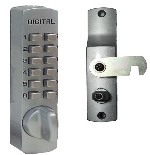 Lockey SL-40 Keyless Combination Slide Bolt Lock. 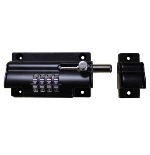 For Applications Where A Barrel Bolt or Padlock And Hasp Would Be Used.